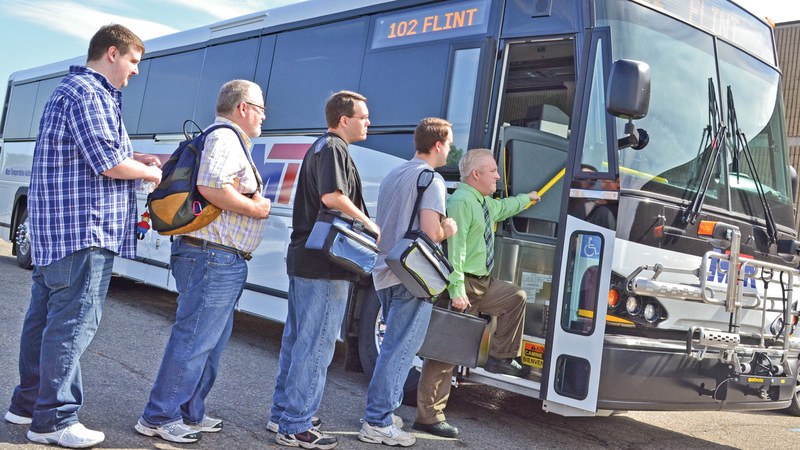 Flint’s Mass Transportation Authority is more than just a fixed route bus service. The public transportation agency better known as MTA is recognized nationally for innovative programs that take people to buy their groceries and get them to and from important medical appointments. MTA provides about 6.2 million rides a year. That’s down about 10 percent from a decade ago. Benning said MTA’s “meat and potatoes” fixed route bus business has fallen about 10 percent in the past two years as the city population declines, people age and need more specialized services. But MTA has seen big growth in new and broadened services such as Your Ride, which includes a new Rides to Groceries program launched in 2015. “We have nine minibuses now that are countywide that will take you shopping and we have racks on board and we make it a really convenient process for people,” Benning said. The authority also provides rides for Genesee County residents who work in Oakland, Livingston, Lapeer, Eaton, Saginaw, Shiawassee and Washtenaw counties. MTA launched its Work-Related Transportation program in 1995. The program has grown to 30 routes today and Benning expects it will reach 50 by 2019. 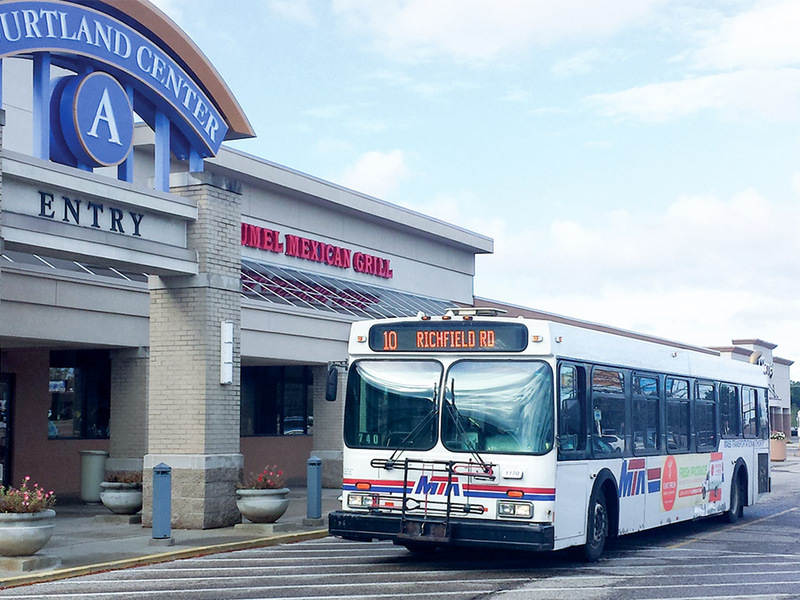 In Livingston County alone, MTA’s monthly ridership has climbed to about 20,000 a month, thanks to partnerships with entities such as the Howell Area Chamber of Commerce and area businesses — many of whom pay to transport their workers. Carcoustics USA Inc., a manufacturer of heat and sound dampening materials for the auto industry, has worked with MTA since summer 2016 to provide bus service to employees at its Howell plant. The bus has helped the company bring in and retain workers and has cut down on absenteeism, said Lynn Margulies, human resources specialist at Carcoustics. Carcoustics shares the cost of the bus pass with workers, whose ride takes about an hour and 20 minutes each way from Flint. In addition to work transit and expanding Your Ride services, medical-related transportation has taken off for MTA. In 2014, MTA began developing Rides to Wellness, a program for Genesee County residents to get to their doctor’s appointments or dialysis service. This year, about 3.6 million people will not make their doctor’s appointment due to transportation issues, Benning said, citing national statistics. Rides to Wellness runs between hospitals and some clinics, and in September 2016, it began providing same-day service using cars. In the first month, Rides to Wellness had 160 riders and in February 2018, that number had ballooned to 7,000. “We anticipate a year from now that we’ll see 1,000 riders a day just for medical trips,” Benning said. Beverly Gray of Fenton has used Rides to Wellness for several months to make her doctor’s appointments in Grand Blanc, Flint and Fenton. Gray, 70, has chronic health problems that require three to four doctor’s appointments a month. Before learning about Rides to Wellness, Gray said she would often have to reschedule appointments when her sisters or friends couldn’t take her. Now, she calls Rides to Wellness a day ahead to schedule a ride. The Rides to Wellness model has been recognized by several organizations, said Benning who also visited the White House under the Obama administration to talk about the program. Benning said he also has been busy in Washington, D.C., working with U.S. Sen. Gary Peters (D-Mich.) and organizations such as the American Public Transportation Association and the Community Transportation Association of America to amend the Medicare Act. A bill could be introduced this spring that would allow Medicare recipients “to elect to use public transit rather than be forced to ride in an unnecessary ambulance” for non-emergency medical trips, Benning said. Back in Genesee County, MTA also is working to green its own fleet of vehicles and plans to test an all-electric bus in 2020. The authority in 2010 began phasing out diesel buses in favor of electric, compressed natural gas, propane and hydrogen fuel cell powered vehicles. MTA is about 80 percent to reaching its goal to be diesel-vehicle free by 2021, Benning said. Today, MTA employs 650 people (up 200 from 2010). And with more growth on the horizon with medical and regional transportation, MTA is looking to hire another 100 drivers to serve members of the community, Benning said.